Mum: Are you sure all the readers will understand you? Ben: Of course! Everyone knows Shakespeare! Mum: But what about your readers elsewhere? I think you should write properly. OK, hello! Today I will write about Shakespeare. He is considered by some to be the world’s best writer, as he wrote incredibly famous plays and sonnets. He wrote: Hamlet, Macbeth, Romeo and Juliet (yuck), Julius Ceaser, The Tempest, The cheese from outer space… OK, I made that last one up. As well as these plays, he wrote A LOT more plays, including several historoy plays which were completly inaccurate… for example, in Shakespeares’ Richard III, he made Richard evil, while in propar history Richard III was sort of nice (not as good as Richard II though=)). 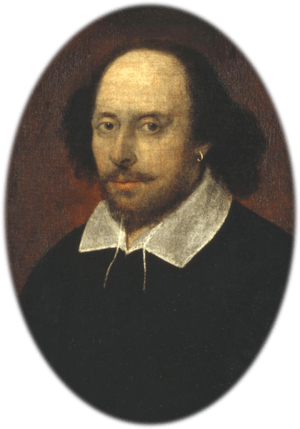 Shakespeare wrote in Elizabethan English, which is why all his plays contained words like thee, thou, thy, shalt (so they can be quite hard to understand sometimes). Also, I might see King Lear in the half term in London , and I really look forward to that. What Shakespeare plays do you know about? Have you seen any? I saw Hamlet played by David Tennant on the television a few years ago, but I couldn’t quite understand it. I love the sound of the play “The Cheese from outer space”. You could always read a synopsis of the play before you see it, then you will follow it easier. I’m glad to see you getting into Shakespeare at such a young age. Where are you going to see it?